Full disclosure, when I booked my appointment to check out Little Dragons Café at E3 this year, I thought I was going to an ACTUAL café. I was picturing some pop-up, geek-centric coffeehouse nestled somewhere in or around the convention area. Imagine my surprise when I found out Little Dragons Café was actually Yasuhiro Wada’s newest project. With those credentials, I knew LDC was going to be something special. And if you haven’t heard of Wada, I’ll clue you in. 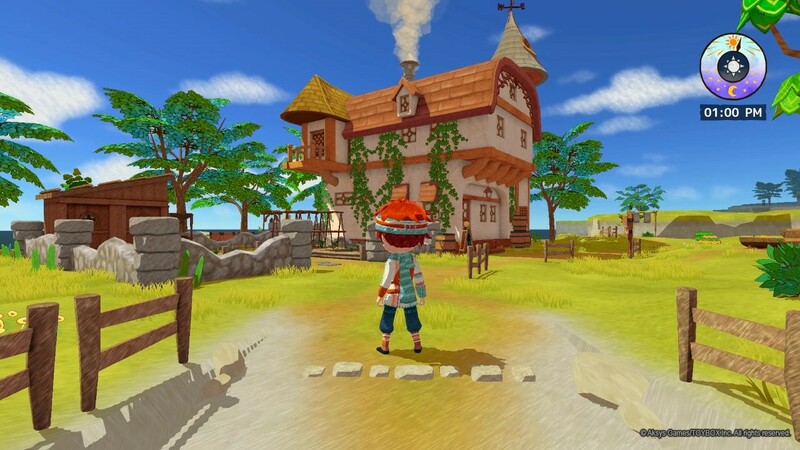 He’s the acclaimed game designer behind the series, Harvest Moon. Maybe you’ve heard of it? I don’t know about you but right out the gate, I noticed the art style. I’ve honestly never seen a game with such a unique look to it. LDC was beautiful and I couldn’t wait to start playing. Little Dragons Café’s story is centered around a family of three, who (shocker) run a café. Early in the game, however, their sweet mother falls mysteriously ill, unable to wake up. It’s up to her children, Ren and Rin, to find a way to cure her. Fortunately for them, a mysterious, wise old man shows up (as they like to do in video games) and gives Ren and Rin a way to save their mother. All they have to do is raise a dragon and manage the family business. No sweat, right? 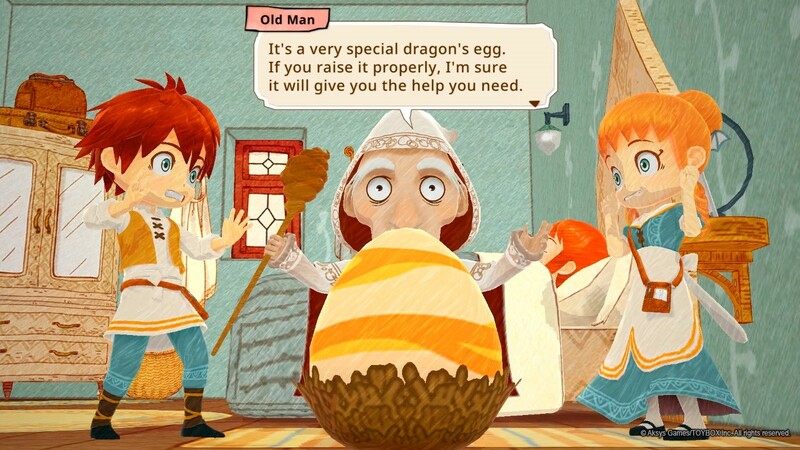 Once the dragon hatches, gameplay breaks down into three major sections, or “Pillars of Play,” as the devs, Aksys Games, described it. The dragon is also a key factor in curing their mother’s affliction. So raise it well! Managing the restaurant guests and supporting the kitchen was a blast. More fun than I thought to be honest. 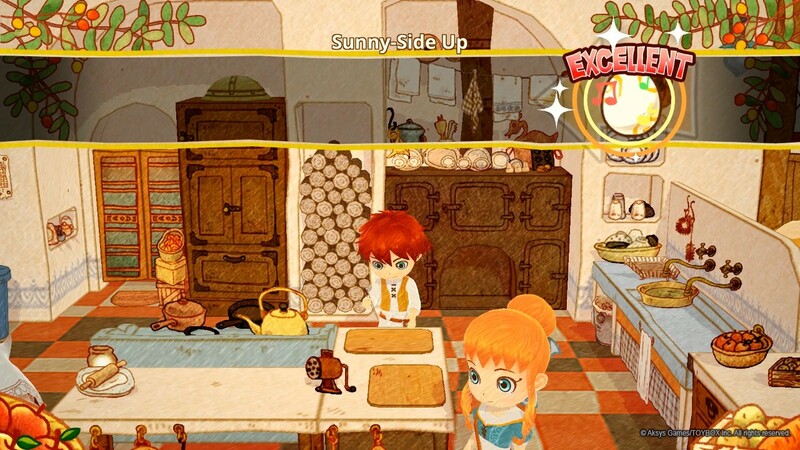 And while it’s not required each time you cook, the rhythm-based cooking mini-game was very creative. I loved playing it. Unlike the previous pillars, there’s no official description for exploration. But who needs one anyway? Throughout the 12 chapters of LDC, players will be able to explore the (mostly) open world environment, collect various resources and find recipe fragments in the wild. This becomes a much easier task, however, once the dragon has grown large enough to fly you around. And it’s convenient to boot! 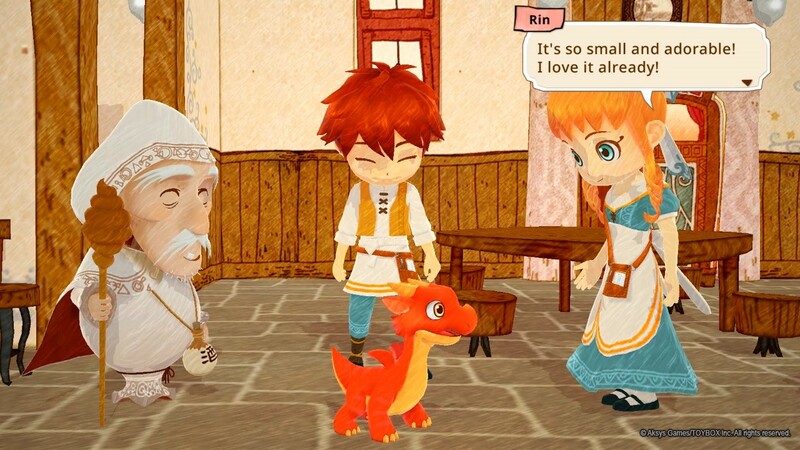 Dragons, restaurant management and good old fashion adventure: Little Dragons Café serves them all up, with a smile! Offering a highly unique gaming experience while staying casual in nature allows LDC to stand tall among its Harvest Moon forefathers. Definitely be sure to grab this adorable RPG for the Nintendo Switch and PlayStation 4 when it flies into in stores August 24, 2018. For more information on Little Dragons Café, please visit its official website.